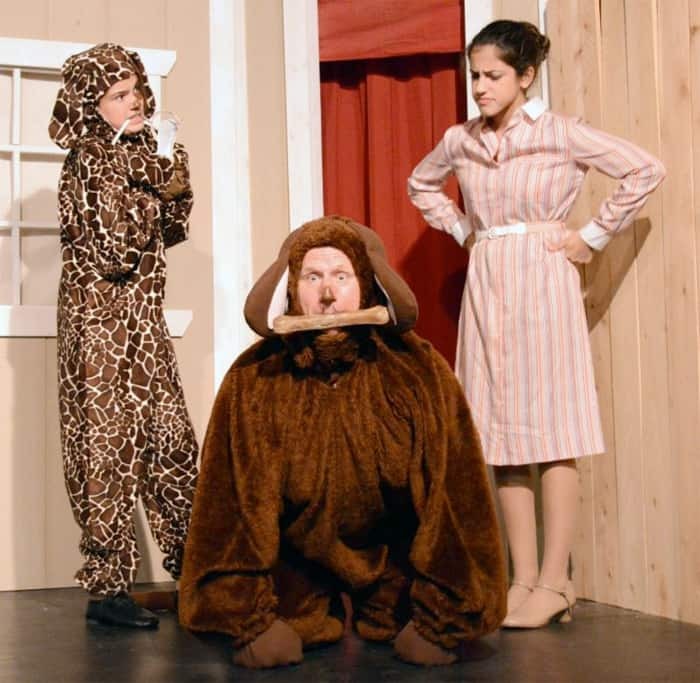 Who Let The Dogs Out In Sutter Street Theatre? Home /Feature, Historic District/Who Let The Dogs Out In Sutter Street Theatre? Two Dumb Dogs are reported to be prowling around in Sutter Street. The next time to spot them (pun intended) will be this weekend and the weekend after. According to Mike Jimena, The Amazing Adventures of Ferdo and Floof is a hilarious comedy with a message, actually more than one message. Do you lack confidence in yourself? Do you sometimes forget to using your brain? Or perhaps do you like to break all the rules? Jimena says the lessons you can learn are that self-confidence is within you, if you will only coax it out, and, if you start using your brain, you may just recognize that following the rules is sometimes a good thing, well perhaps even mainly a good thing. 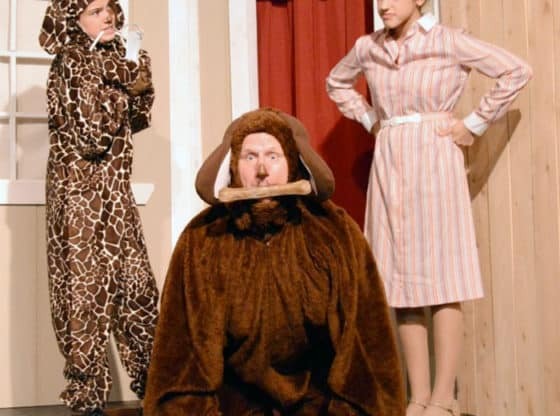 Connie Mockenhaupt, Sutter Street Theatre Artistic Director says Ferdo and Floof are two not-very-bright dogs, who have a strong desire to break the rules of their owner, Roger. As you can probably imagine, the two dogs are constantly in trouble. Seeking fame and fortune on their own, they start out on an adventure together, and come to an enchanted forest. They have been warned by the wise old owl, and they soon find a prince who has been turned to stone by the curse of the wicked Queen Malevella. There is also a hapless poodle called Mimi and the legendary Dog Shouter. The two dogs, Ferdo and Floof need to call upon all the brainpower they can muster – if they have any – in their attempt to release the prince and together escape from the queen’s dungeon. Family fun is the name of the game at Sutter Street Theatre, Allen Schmeltz says, so make your bookings for either Saturday or Sunday at 1:00pm, this weeken or next weekend, through July 6. Phone reservations can be made to the box office at 916-353-1001. Group and birthday party rates are also available.